Another Friday another Developer Diaries. This day we are going into depth on the financial side of developing a game. During the last months we have been in contact with at least 10 different manufacturing and shipping companies. Each of them with their own unique style, location and price. 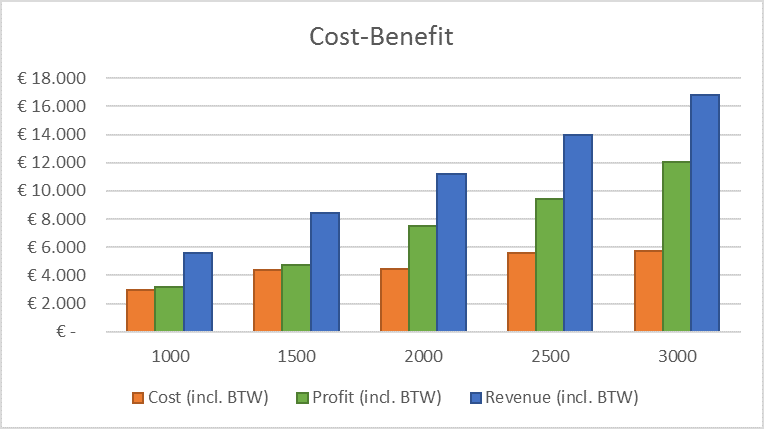 The manufacturing price per game of Tamps and the location from the manufacturing company are both very important for determining the costs of producing one game. The manufacturing companies in China were the most competitive based on price per game, disadvantage was the shipping costs that skyrocketed to send a game first to the Netherlands and then to you, our backers. Therefore, we are also talking with Chinese shipping companies that can send our game to your house directly, which saves a long travel time and is cheaper as well. Based on these costs we can take a first look at our pledge goal. This is the $ goal that we need to reach on our Kickstarter campaign in order to start manufacturing. Thus we have to think about this really really good, since if we set the price to low then we might lose money and when we set it to high less people will pledge. The price that has been in our heads for the last few months is 10 euros for a game, plus shipping costs which we hope to set at 5 euros worldwide. This would mean that the total price for our game, on your doorstep, all around the world, would be approx. 15 euros. 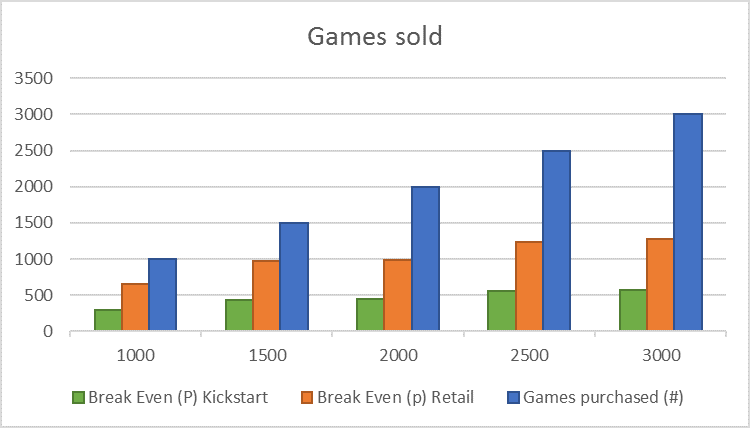 Further, this means that we can calculate our break-even point and the amount of games that we need to sell in order to go even. Based on the current manufacturing prices it looks like we need to sell at least 200 games, which would compare to a 200 games x 15 euro = 3.000 euro pledge goal. To sell 200 games is absolutely feasible with your help. We can do it!!! So please share our story and give your trust by pledging when we go live!! ⟵Developer Diary #6 – Box covers, which do you like?